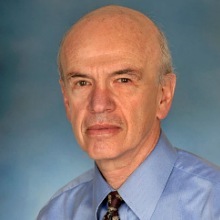 Allan Krumholz, M.D is a neurologist and Director of VA Maryland Health Care System’s, Epilepsy Center of Excellence. His work with the VA Epilepsy Centers of Excellence (ECoC) has driven new research and treatment discoveries for veterans suffering from brain injury and seizure disorders. Additional focus is the treatment and education of the condition’s effects on social functions, including employment and driving. Regina McGuire, Nurse Practitioner, shares the integrated care and support provided to the families and caregivers of those with seizure disorders and epilepsy, and veteran Brian Farkas also joins our program, sharing his personal story and his resulting health outcome today. The Epilepsy Centers of Excellence are also featured in this video about increased risk of seizures in veterans with a penetrating TBI: http://bit.ly/TBIepilepsy. Click to download the podcast: http://bit.ly/ECoEshow, or click below to listen live to the broadcast. Also available on iTunes podcasts on-demand 24/7. Air date, 29Mar2016.